There is currently no Sacred Journey being offered, but we invite you to explore previous journeys below. To be notified of the next Sacred Journey, please make sure to subscribe to our email list in the sidebar. Experience the mystical, magical and divine energy of the love of God that made these places so very special. All the locations on this journey resonate a very special frequency that vibrates strongly with the history of the Grail and the “Grail Family” as it is known. These towns are not on the usual Grail tours, but have been personally visited by Maureen in preparation for this journey. Join Maureen St. Germain, Jane Wardlaw, and Scotsman Hugh Gilbert as we weave our way through carefully selected sites, listening to the tales and experiencing the energies. There will be a balance of spiritual discovery, comfortable accommodations, good food and the fun of traditional Scottish entertainment! Sponsored by Archangel Michael… and the Dragons! Awaken to Your True Self. 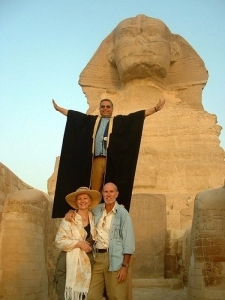 Come with us to Egypt! Myths and legends will be explored, and more importantly, experienced! Since ancient times Egypt has expressed an irresistible spiritual magnetism on the hearts and minds of millions of people. Myths and legends will be explored and, more importantly, experienced! Magnetize yourself with the miraculous power to heal the body, enlighten the mind, increase creativity, discover psychic abilities and awaken the soul to knowing its true purpose in life. Isn’t it your turn to have this experience? 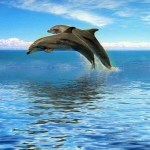 Swim with Dolphins in Hawaii and learn to open and read your own Akashic Records. Swim with the WILD dolphins, experience the Hathors in a new way, and add to your spiritual growth and adventures with Akashic Records training in paradise, integrated with the dolphin experience. As interdimensional beings of Light, the dolphins are master teachers and healers whose vibrational frequencies and sonar take us into realms of expansion beyond description. Join Maureen for this amazing sacred journey to the Gateway to Heaven on Earth. Our tour of Tibet promises to be a life changing event. 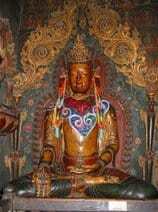 You cannot visit Tibet and return the same person. It is not for the faint of heart. A Journey to the Gateway to Heaven on Earth will change your life forever. This trip will be challenging due to the extreme weather conditions we may encounter at high altitude. Many make this trip by preparing physically as well as mentally and spiritually. 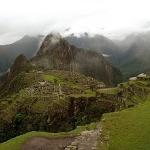 A spiritual journey to the ancient lands of Machu Picchu and beyond. This guided tour provides an in-depth experience of Mother Lake Titicaca, one of earth’s strongest natural shrines of feminine energies. The very foundation of Andean philosophy rests on knowing the Divine as Feminine, as well as knowing the Masculine and that which is beyond gender.